Wings over Arras - Complete WWI card game inside! Just when we had found a style - or at least thought so - here comes Part Five of what once spawned this magazine: Udo Grebe's Pearl Harbour. Therefor this magazine has a big fat rulebook for UCG's Empires of the Apocalypse in it along with tables and other Pearl Harbour related material. All stuff that will make the layout of this issue a bit confusing. And on top of that we have a game on World War I aerial operations, an expansion for our beloved KOBA game and some very nice articles on top of that. 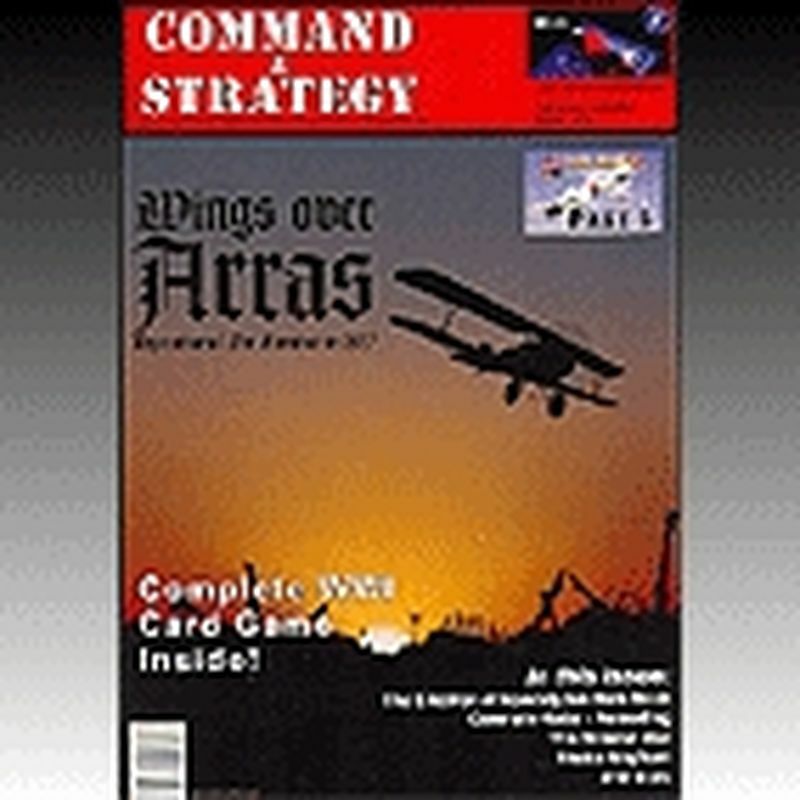 In this issue: WWI Air Combat, The Sidecar War, Wings over Arras, On the Road to Gettysburg, Operation Felix, Koba - Reloading, Cartage from GMT, The Greatest Wargame Ever, The Playtester from Hell.